Members of our Board of Directors play an instrumental role in advancing the Philadelphia Health Partnership’s mission. Estelle B. Richman is the former Senior Advisor to the Secretary for the U.S. Department of Housing and Urban Development (HUD). She was responsible for oversight and management of the intersection between housing and social services. Prior to this position, Ms. Richman served as HUD’s Acting Deputy Secretary and Chief Operating Officer. 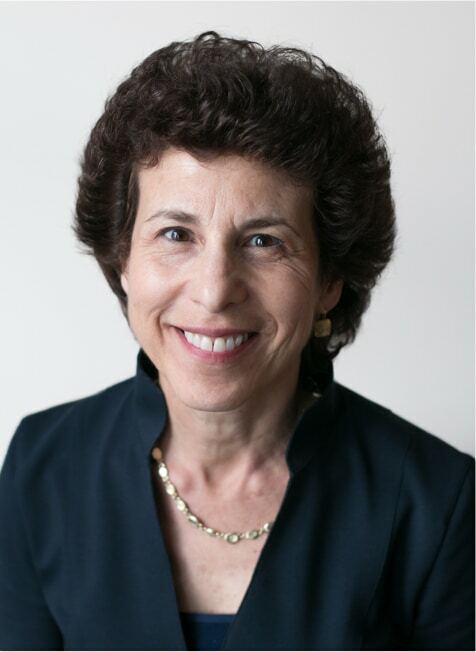 With more than 30 years of public service, Ms. Richman joined HUD from the Pennsylvania Department of Public Welfare where she served as Secretary of Public Welfare for 7 years. She has held numerous leadership positions for the City of Philadelphia including Managing Director, Director of Social Services, Commissioner of Public Health and Deputy Commissioner for Mental Health, Mental Retardation and Substance Abuse Services. Prior to coming to Philadelphia, Ms. Richman was Assistant Director for the Positive Education Program in Cleveland, Ohio, a day treatment program for children with behavior problems. Ms. Richman has a bachelor’s degree in psychology from Western Reserve University and a master’s degree in clinical and community psychology from Cleveland State University. She is the winner of the 1999 Innovations in American Government from the Kennedy School of Government at Harvard University. To read an interview with Ms. Richman about her role at the foundation, click here. Ms. Jones is Chief of Staff for the Chancellor of Rutgers University—Camden. Previously, she was Chief of External Affairs for the School District of Philadelphia and Chief of Staff and Executive Director of the Office of the School Reform Commission. Before that, Ms. Jones was Co-Executive Director of City Year of Greater Philadelphia, a nonprofit organization that deploys 17 to 24-year-olds for a year of service working as tutors, mentors, and role models to public school students. Ms. Jones also served in two cabinet level positions for the City of Philadelphia: Managing Director and Secretary of External Affairs. She played a leadership role in executing “Project Brotherly Love,” the city’s award-winning Hurricane Katrina relief effort. Ms. Jones is Vice Chair of the Board of Directors of Health Partners Plans, immediate past chair of the Steering Committee of the Sunday Breakfast Club, and a member of the Board of Trustees of Project H.O.M.E. As an Eisenhower Fellow, she studied how South African municipalities provide social services. Ms. Jones was the recipient of the Urban League of Philadelphia’s inaugural Whitney M. Young Jr. Young Leader Award, was identified as one of the “10 People Under 40 to Watch” by the Philadelphia Tribune Magazine, and was twice recognized as a “Connector” by Leadership Philadelphia. She holds a Bachelor of Arts in art history from Spelman College and a Master of Administration with concentrations in 20th Century African History, African American Studies, and 20th Century American History from Princeton University. Mr. Thompson founded Coho Partners, Ltd, a Berwyn-based investment management company in 1999 and serves as its Chief Investment Officer. The firm currently oversees approximately $7 billion in assets for a number of foundations, endowments, and other charitable organizations, as well as high net worth clients. Previously, Mr. Thompson worked for investment management firm Cooke & Bieler. He is a member of the Investment Committee for the Gesu School and has served on a number of other local boards. 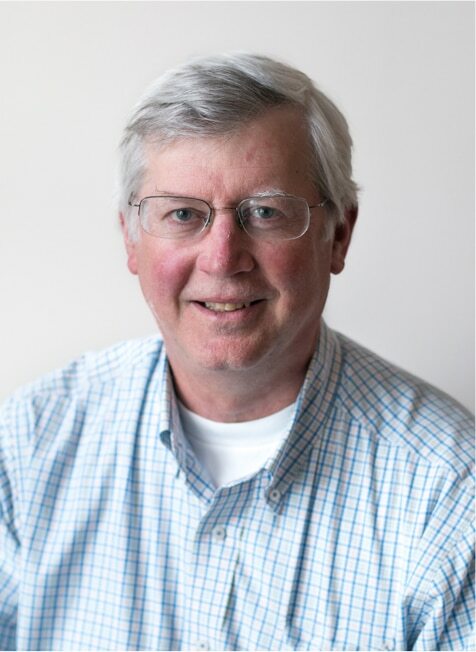 Mr. Thompson earned a Bachelor of Arts in economics from Princeton University and an MBA from the University of Virginia’s Darden School of Business. Dr. Ronner is a general gynecologist who has been involved in resident and medical student education for nearly 25 years. She is a Professor of Clinical Obstetrics and Gynecology at the University of Pennsylvania‘s Perelman School of Medicine. She and her sister Margaret Marsh, University Professor of History at Rutgers University, have written two books on the history of reproductive medicine: The Empty Cradle, Infertility in America from Colonial Times to the Present and The Fertility Doctor, John Rock and the Reproductive Revolution. Dr. Ronner has received several teaching awards, among them the Association of Professors of Gynecology and Obstetrics Excellence in Teaching Award in 2000, 2003 and 2009, and the 2010 Penn Pearls Award for Excellence in Clinical Teaching. In 2012, she was chosen by Perelman medical school students as the faculty member inductee for the Alpha Omega Alpha Honor Medical Society. Dr. Ronner graduated from Temple University School of Medicine and completed her residency training in obstetrics and gynecology at the University of Rochester. Ms. Bloom is Executive Director of the Stoneleigh Foundation, which is dedicated to improving the life outcomes of Greater Philadelphia’s most vulnerable youth. The Foundation meets this mission by awarding Fellowships to leading practitioners, researchers, and policymakers working to advance reforms in the systems that serve these young people – such as juvenile justice, child welfare, education, and health. Ms. Bloom has extensive experience in philanthropy and public policy, including over a decade as Program Director of Children, Youth and Families grantmaking at the William Penn Foundation, where she oversaw the Foundation’s efforts in public education, youth development, and early care and education. In collaboration with other Pennsylvania funders and the state, she developed and implemented Pre-K Counts, a public-private partnership which became a national model and led to substantial state investment in quality pre-kindergarten programs in Pennsylvania. 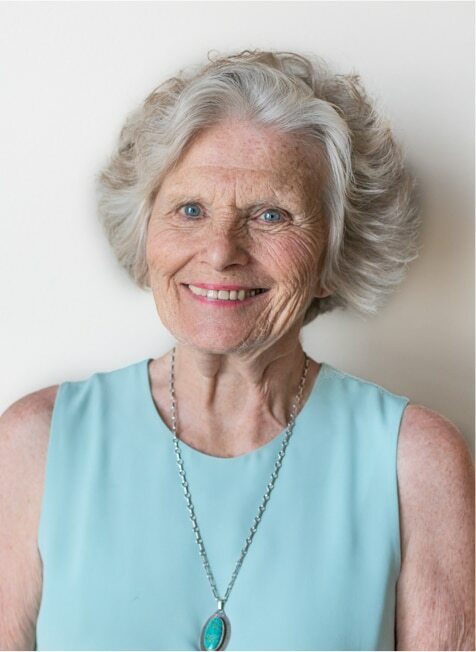 Ms. Bloom served as past President of the Philanthropy Network and is the former chair of the national Early Childhood Funders’ Collaborative. She currently serves on the Board of Pennsylvania Partnerships for Children and the Selection Advisory Committee for the GreenLight Fund. Ms. Bloom began her career as an attorney and received both her Bachelor of Arts and law degrees from the University of Pennsylvania. Mr. Huston is an Account Vice President at UBS Financial Services in Philadelphia. He has more than 40 years of experience in the financial services industry, including portfolio management, asset allocation, national sales management, investment product creation, trading, and sales. 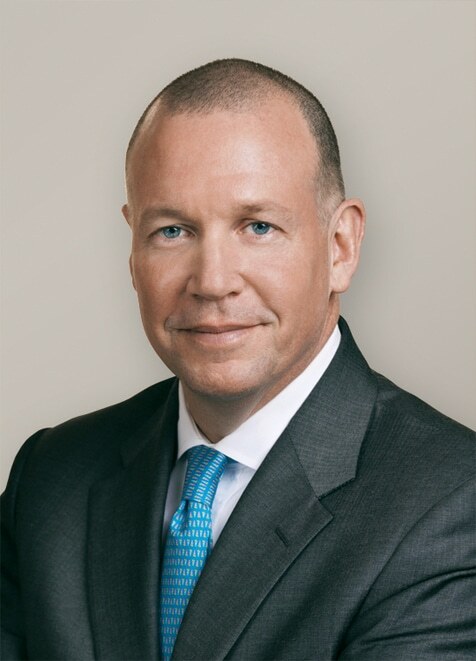 He started his business career at White, Weld & Co. Inc. in Philadelphia, joining Kidder, Peabody after the company was sold, and spent 15 years in New York in various roles in fixed income asset management. After six years in national sales management at Legg Mason, he returned to Philadelphia joining UBS. Mr. Huston has been active on several not-for-profit boards, including The Samuel Fleisher Art Memorial, American INSIGHT, and serving as Treasurer of The Stoneleigh Foundation as well as a Director of two private corporations. Mr. Huston holds a Bachelor of Arts from the University of Pennsylvania and served in the U.S. Army in Southeast Asia. Joan Kenerson King is the senior integration consultant with the National Council for Behavioral Health, where she consults with state and county government agencies on developing integrated systems of care. She is also an individual, marital, and family therapist in private practice. For the past 15 years, Ms. King has worked with public behavioral health systems in Philadelphia and Montgomery Counties and in Michigan to facilitate large-scale system change efforts, plan for the discharge of long-term state hospital residents, and develop and deliver training to support innovation and new skill development. She began her career as a staff nurse at Graduate Hospital in Philadelphia followed by several years in community health nursing. Ms. King was the founder and director of the Visiting Nurse Association of Greater Philadelphia’s psychiatric home care program. A certified adult clinical specialist in psychiatric nursing, she earned a Bachelor of Science in nursing at Eastern Mennonite College and a Master of Science in psychiatric nursing from the University of Pennsylvania. Dr. A. Scott McNeal is the Vice President and Chief Medical Officer for Delaware Valley Community Health, Inc. (DVCH), which operates seven federally qualified health centers in the Philadelphia region. DVCH provides high quality, culturally appropriate, multi-disciplinary primary care services to underserved communities. Dr. McNeal is also the Senior Vice President of Medical Affairs for North Philadelphia Health Systems (NPHS). NPHS operates Girard Medical Center, a multi-specialty Behavioral Health Facility, and the former St. Joseph’s Hospital; where he was also the Director of their Family Medicine Residency program for over 20 years. Additionally, Dr. McNeal is a Clinical Professor at The Philadelphia College of Osteopathic Medicine (PCOM) and is active in many professional organizations. He has served as a Board member on many community and institutional Boards, and currently serves on the City of Philadelphia’s Board of Health, Philadelphia Health Partnership, and the Philadelphia College of Osteopathic Medicine’s Board of Trustees. Dr. McNeal received his Bachelor’s Degree in Biology from Hofstra University, and is a graduate of the Philadelphia College of Osteopathic Medicine, (PCOM). He performed his Internship and Family Practice Residency at St. Joseph’s Hospital in Philadelphia and completed additional certificate training at Harvard University School of Public Health in managing Community Health Centers. He is Board Certified in Family Medicine. Pamela A. Strisofsky has more than 25 years of business management experience, currently serving as an Investment Adviser and Trustee to a few significant families, including a large multi-generational family trust. For more than 15 years, she was a Managing Director and CFO of TL Ventures, an early-stage venture capital firm with $1.5 billion under management, as well as CFO and Adviser to EnerTech Capital Partners, an energy-focused venture fund affiliated with TL with $500M under management. During her TL tenure, Ms. Strisofsky assisted in raising more than $1.2 billion of capital and administered the investment of more than $1.3 billion, which returned more than $1.5 billion to its investors, while concurrently providing advisory and back-office support for several unaffiliated private equity funds, including buyout, mezzanine and Korean funds. She continues to serve as a trusted resource for several early-stage companies, periodically serving as the interim CFO/COO or representing investors on the board of directors. Presently, she serves as the Chairwoman for Ardica Technologies and a board member of Privakey, Inc. She is an emeritus board member of the Private Equity CFO Association’s Philadelphia chapter, an organization she assisted in founding. Ms. Strisofsky holds a Bachelor of Science in finance and international business from Ohio State University. A CPA and registered investment adviser, she is an adviser to Guardian Capital Partners, Madison Bay Partners and Idlewood Capital Partners. Dr. Williams is President and Chief Executive Officer of QualDent, an oral health program management company specializing in the development of oral health risk reduction programs for payers. Previously, Dr. Williams managed dental insurance plans in several states, as regional Vice President of United Dental Care Insurance Company and Chief Executive Officer of OraCare Dental Health Plan. In addition to managing dental insurance companies, he also worked for Independence Blue Cross, Pennsylvania Blue Shield and several national consulting firms. While at Blue Cross, Dr. Williams strategized and developed the AmeriHealth Insurance Companies. Dr. Williams has been a long-time consultant to several government healthcare authorities, including the White House, U.S. Congress, Social Security Administration, Health Resource and Service Administration, Center for Medicare and Medicaid Services, and several state Medicaid authorities. 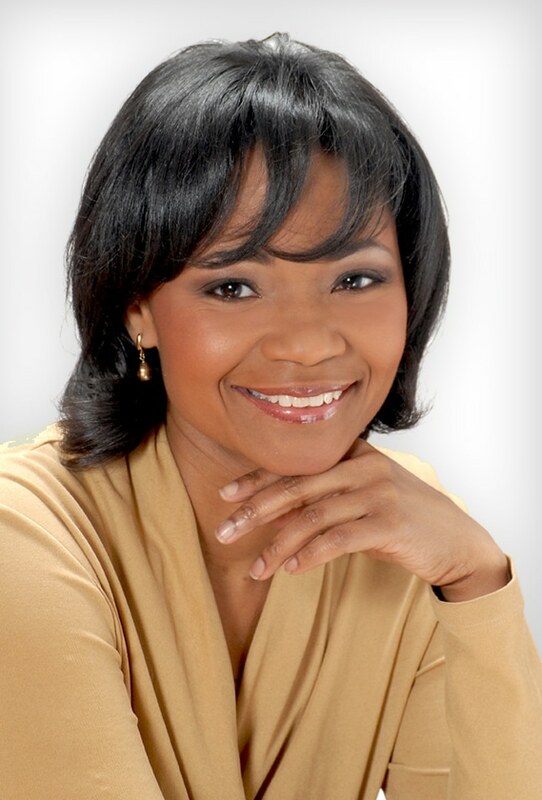 Dr. Williams earned a bachelor’s degree in psychology from Rutgers University, a master’s degree in international administration from the School for International Training, and a doctorate degree in Healthcare Product Development from LaSalle University. Ms. Yanoff is the former Executive Director of Public Citizens for Children and Youth, where she played a major role in expanding the scope and quality of services to children and their families. A lawyer by training, Ms. Yanoff has been fighting for children and families for more than four decades. 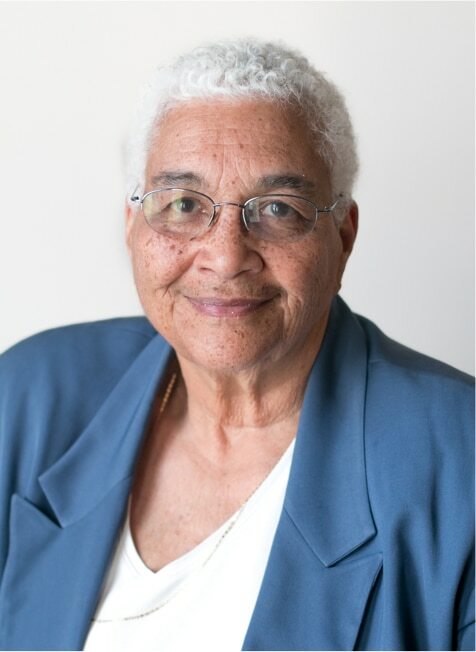 In the mid-1960s, she crafted the strategy to save the “Get Set” day care program for youngsters in Philadelphia and led 2,000 Philadelphians to Harrisburg to insist on more support for neglected children. In the mid-1990s, she helped organize more than 10,000 people from the Philadelphia region to travel to Washington to urge the investment in children. Ms. Yanoff served as Chair of the Governor’s Commission on Children and Families under then Governor Ed Rendell and was a member of the Philadelphia Commission on Children and the Philadelphia Workforce Investment Board. Ms. Yanoff is the recipient of numerous awards, including the Gimbel Philadelphia Award, the Edward S. Espen Humanitarian Award, The John B. Patterson Award for Excellence in Public Education, The Take the Lead Award, The Fleurette Angel National Child Advocate Award, and the Red Cross’ Clara Barton Humanitarian Award. She is a graduate of the University of Pennsylvania and the Villanova University School of Law. Peter J. Zuleba, III, CFA, is President of Glenmede Investment Management LP (GIM), an affiliate of the Glenmede Trust Company, N.A. (Glenmede). Mr. Zuleba is a member of Glenmede’s Management Committee and Chair of the Investment Review Committee. As President of GIM, Mr. Zuleba is responsible for the research, trading, and portfolio management of equity, fixed income, alternative, and risk-management strategies. Additionally, he is responsible for the division’s sales, servicing, and fund administration operations. During his tenure with Glenmede, Mr. Zuleba has held a number of senior leadership roles, including Director of Investment Management and Head of Equity. Mr. Zuleba joined Glenmede in 2004 following a more than 15-year career of senior investment positions at JPMorgan Chase & Co, where he also managed the company’s Large Cap Growth Equity strategy. Mr. Zuleba received an M.B.A. from the University of Miami in 1995 and a B.S. in Business Administration from the University of Delaware. He holds the Chartered Financial Analyst® designation and is a member of the CFA Institute and the New York Society of Security Analysts.